The time has come my friends - to finally, finally, finally pretend as though it might be slightly turning into summer here in Seattle. 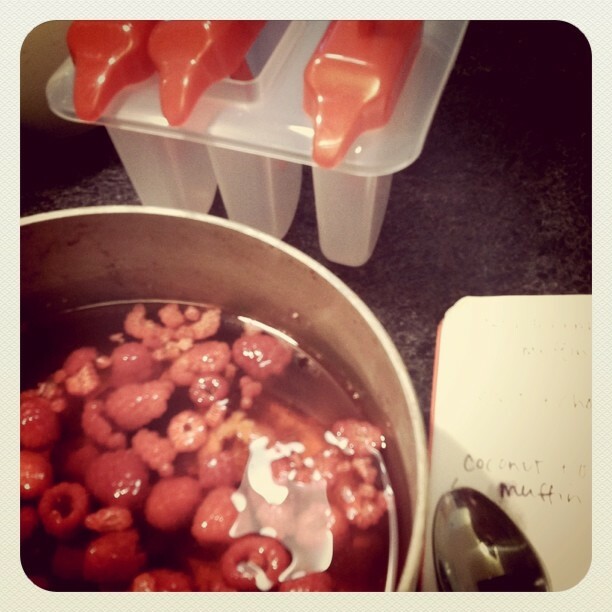 These Popsicles came to me as I rummaged through the fridge for any excuse to use my new molds. Boil the water. Add raspberries and both sugars. Add rosewater and lemon juice. Separate into Popsicle molds. This should yield at least 10, if not 12, Popsicles. Also - these are on the tart end of the spectrum. Add another tablespoon of sugar if you like yours sweet. Freeze over night. Indulge.